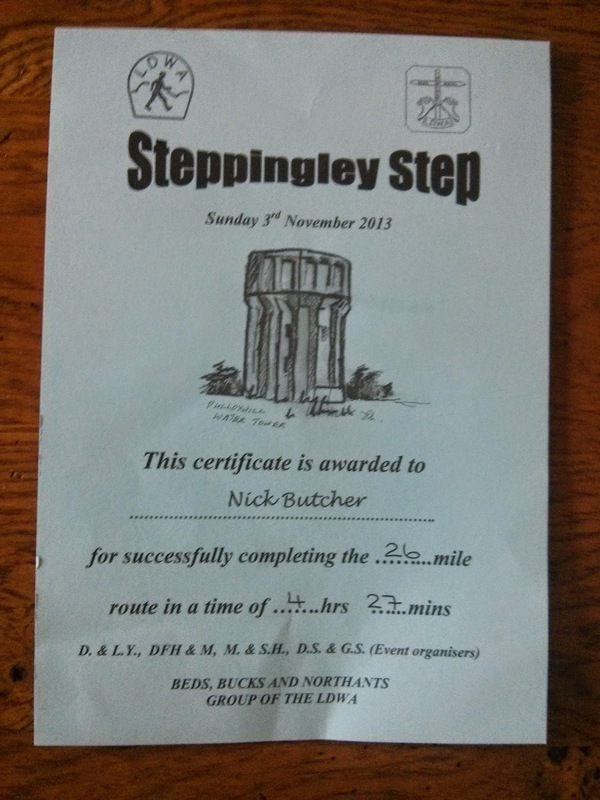 Claire gave me ten days notice for the Steppingley Step that she had entered me as a 40th birthday present. No problem - I'm used to running marathons at short notice. This is another great LDWA marathon, starting from Barton-le-Clay and ascending a long flight of steps after just a mile to get warmed up, followed by rolling countryside. 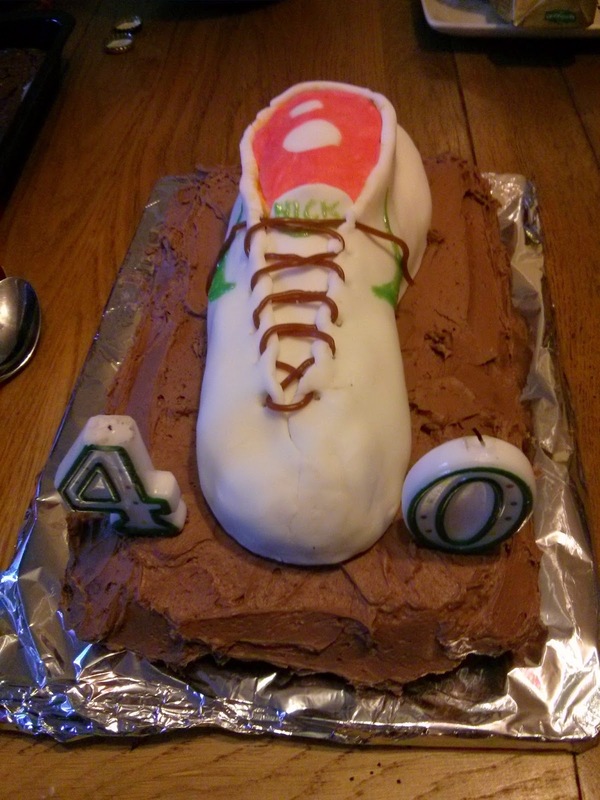 On arriving home, my heart nearly stopped when I walked in to a surprise 40th birthday party! Here is the cake. Here is the route on Strava. 4:28:12, eighteen minutes faster than my first attempt at the Steppingley Step four years ago.